Moyle Park English Language College is an organisation run by the Marist Brothers of West-Central Europe. 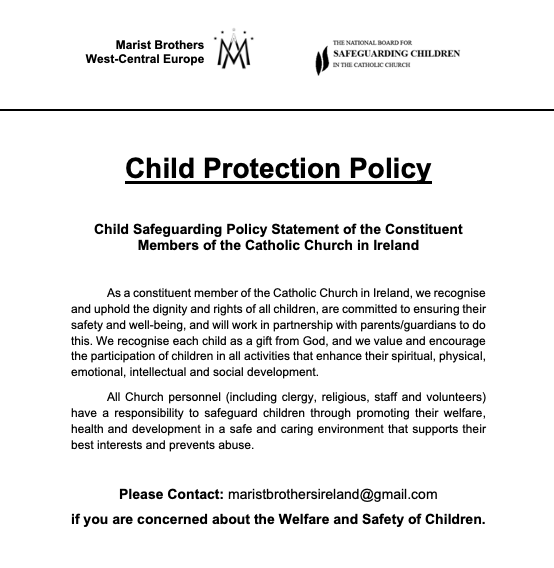 In accordance with child safeguarding within the Catholic Church in Ireland, it is esential that everyone involved, do their utmost best in the protection and safeguarding of children. In accordance with the Safeguarding Children Policy and Standards for the Catholic Church in Ireland 2016.